Shop Audio-Technica ATR1500 LowZ Cardioid Dynamic Handheld Vocal Microphone from AMS with 0% Interest Payment Plans and Free Shipping. 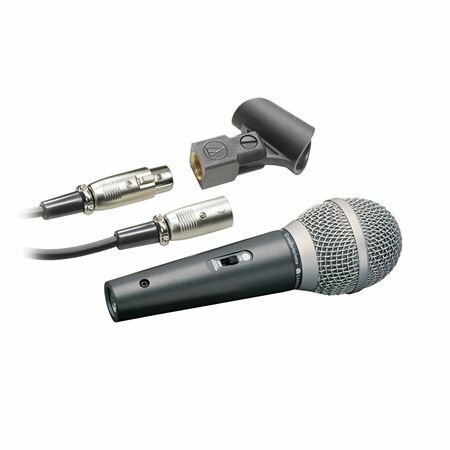 The Audio-Technica ATR1500 Dynamic Vocal Microphone is tuned for clear vocal and instrument reproduction and consistent performance. The cardioid polar pattern of the ATR1500 mic reduces pickup of sounds from the sides and rear, improving isolation of desired sound source and protecting against feedback.